I am having trouble getting a room at the downtown Nashville preferred hotel. Can I stay at a different downtown hotel and still use the daily shuttles to/from training? If you are unable to get a room under our rate at the preferred downtown hotel/s through the provided online reservations link/s, then please see the Hotels section of our logistics page: http://www.pmutraining.com/logisticsmain2.cfm and follow the instructions to contact either the local hotel representative, or the University (Powerlogic.University@schneider-electric.com) as indicated. If you plan on staying at a non-preferred downtown Nashville hotel but would still like to utilize the daily shuttles to/from the training facility or you have booked your room less than one week before your class start date, please contact us with this information at Powerlogic.University@schneider-electric.com no later than 5 days prior to your course’s start date. Please see the Transportation/Shuttles section of our Logistics page (http://www.pmutraining.com/logisticsmain2.cfm) for more information. I will be at the downtown preferred hotel and plan to use the daily shuttles to/from training and will not have a rental car. Do I need to make my airport/hotel shuttle arrangements in advance? Please plan on reserving a rental car, arranging for a taxi upon arrival, using the airport’s public shuttle service or if arranging for a door to door service through Matchless Transportation, plan on making that reservation at least 48 hours prior to your arrival. *Please note: On the last day of class, PMU's shuttle service (Matchless Transportation Services) will take all those departing on the same day directly to the airport, followed by drop off at the downtown Doubletree for all those departing on a later date. What if I can't remember if I already have a student account or I cannot remember my student ID? Click on the “Forgot Student Number” link at the bottom right of the PMU homepage. Enter your email address and click “submit”. The website will search our database for an account associated with that email address and, if located, it will email your student number to that address. Otherwise, the page will tell you that it was unable to locate a student number associated with that email address. You can search again using another email address if you are uncertain which one you might have originally used. Once you locate your chosen class and you have logged in by entering your unique alphanumeric student ID# into the indicated field at the bottom right of the page, you can register for a class by clicking the “Register” link associated with your chosen class. You can use the monthly expandable view of the schedule by going to the Training tab and then choosing ‘Training Schedule’, or ‘Register for Courses’ to see a list view of all scheduled courses in chronological order by start date. Both pages have filters available to help you narrow down your choices. How / where do I enter the payment information? Which option should I choose? Want to pay by credit card? Confused about the difference between a voucher and a coupon? We can help! Please see our payment faq’s page at http://www.pmutraining.com/paymentfaqs.cfm for a detailed breakdown of all accepted forms of payment, how to implement them, and what to expect afterwards. I am a manager / administrator needing to register / pay for people other than myself; or, How do I register an additional attendee after myself? You will need the student ID# for each person that you wish to register. Registrations must be done individually (one at a time), as each attendee must be logged in on the website with their own student ID# before beginning the registration process. If they do not yet have a student ID#, you can create their student account profile by clicking on ‘New Student Account’ at the bottom right of the page and submitting the completed information form. After submission, the Student ID# will be displayed on the confirmation page, and you will need to make a note of it for each person for whom you create a new account (they will also receive it via email for their own records). This is what you will enter into the Student Number field to log in, and you can then proceed with registration. You will need to log out of the first person’s account before logging in as a second person (and possibly refresh the page, depending on your machine’s cookies settings). 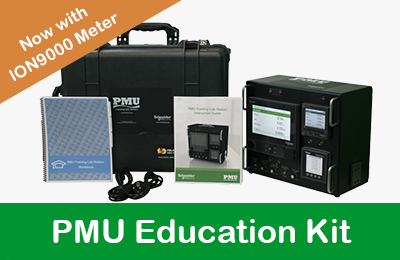 What does the “Bundle” refer to when registering for the Power Monitoring Fundamentals Bundle course? The bundle refers to the 12-month subscription to the On-Demand Campus that comes as part of the default package for new users/attendees to the Fundamentals courses. It is intended to supplement the hands-on factory training class with 24/7 access to searchable online training modules, which reflect the most current information available. Part of the Fundamentals course agenda will be to introduce the On-Demand Campus and provide a tutorial for the users. If your company has purchased a standard 4-day, prepaid training voucher, it most likely is not bundled (unless you were quoted specifically to include it). All Fundamentals courses purchased via credit card during the online registration process will automatically be bundled. The independent cost of the bundle feature (On-Demand Campus) is regularly $625 for a one year subscription. When bundled with the Fundamentals course, the cost is only $216 for the annual subscription. For additional information and a demo of our On-Demand training offer, please visit: http://www.pmutraining.com/online/learn-intro.html. 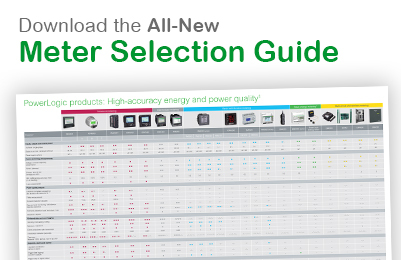 How do I find a local Schneider distributor through which to place my training order (US Customers Only)? How can I tell if my registration for a course has gone through? You will receive an electronic confirmation at the email address associated with your student account. Your first confirmation will say that your registration has been received but that your seat is not guaranteed until your form of payment has been received. If you paid via credit card during the online registration process, both the card holder and the student will receive an automatic email confirmation. If paying by purchase order, please be sure to follow up with the necessary documentation required of PO registrations at least 10 days prior to the start date of your scheduled class. If you have not seen your email confirmation, please check your clutter/junk/spam folder. We also recommend adding PowerLogic.University@schneider-electric.com to your contacts. I am an international customer that would like to attend training in either the U.S. or Canada. How do I register and submit payment information? If you are a customer outside of the U.S. or Canada and wish to attend a Power Management University training class, you may register and pay directly with a credit card (Visa, MC or AmEx) during the online registration process. For other forms of payment and/or to arrange for training locally, please contact your local Schneider organization regarding your training needs. I am a Schneider Electric internal employee. What is my procedure for registering for a training class? The customer’s student account creation and registration process also applies to internal employees. Upon arriving at the Payment Information page of the online registration process, you should choose "Schneider Electric employee" from the drop-down box. You will be asked for your cost center number and your manager's name in order to submit (a base cost fee will apply in order to attend customer training classes). Please note that our system automatically renders all internals to the class waiting list in order to give the customers priority seating. We typically allow 2 internals per customer class if space allows, otherwise, internals can be bumped for customers. The week prior to the class, if the seat/s are available and your ability to attend the class has not changed, then we will set up the internal tuition payment to confirm your seat. If you are a Schneider Electric affiliate company, an affiliate purchase order may be required in order to confirm your seat. Please see the next question / answer section for additional information. 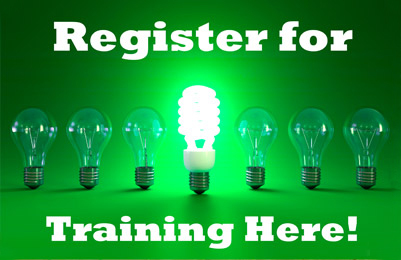 I am a Schneider Electric internal employee and I have registered for an upcoming training class. Why have I not yet received my registration confirmation? Because seating is limited, internal employees will not be confirmed until approximately one week out from the class start date. This is to allow maximum attendance for our customers, for whom we reserve priority seating. If it is necessary that you be bumped from your chosen class, we will inform you of the circumstances so that you can enroll in the next upcoming class on the schedule or the otherwise scheduled class for which you have a preference. Please note that PMU reserves the right to limit the number of internal attendees in customer training classes. Seats are granted on a first come - first serve basis. Prepaid internals cannot be bumped from class. Schneider Electric or Power Management University (PMU) reserves the right to cancel any course two weeks in advance, upon which any/all registrants will be notified. 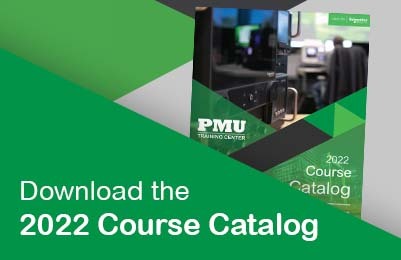 Schneider Electric or Power Management University (PMU) reserves the right to change course schedule, modify course content, and limit class size. Payments made via credit card cannot be refunded, but Power Management University (PMU) can reschedule your class, transfer your payment to a different attendee, or issue you a prepaid training voucher, which is valid payment for any other equivalent future PMU training offer. If you cancel a factory class within seven calendar days prior to the scheduled start date, you could be subject to a penalty charge up to the full price of the class; if you cancel between eight and fifteen calendar days prior to the scheduled start date, you could be charged 25% of the full price. If you are unable to attend your scheduled prepaid training event and cannot immediately reschedule, you will be issued a training voucher which can be used for an equivalent future PMU training offer. No refunds are offered for self-paced web-based training. A form of payment is required before a training session can be confirmed. Do not make any non-refundable travel arrangements or commitments until you have received confirmation from a representative of Power Management University. Please be aware that the initial registration receipt email is not a final training confirmation. We recommend the purchase of changeable / refundable airline tickets, and avoiding 3rd party / prepaid hotel accommodations when making travel arrangements, especially if planning to attend our more advanced training classes, in case they should cancel / postpone due to insufficient participation.